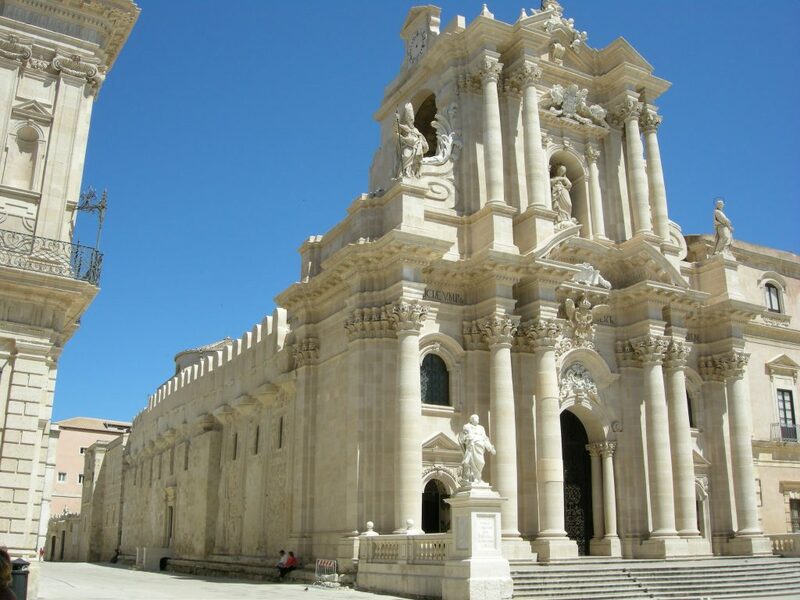 Today we take you with us to discover a wonderful place, destination for many tourists from all over the world: Ortigia. 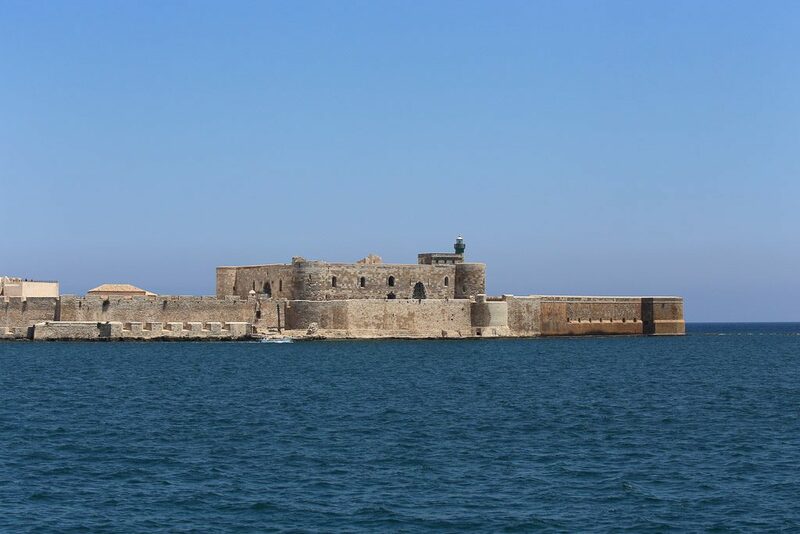 The island is the oldest part of the city of Syracuse, a treasure chest of historical and natural treasures. It owes its name to the ancient Greek “Ortyx” which means “quail”. It overlooks the Ionian sea and is linked to the mainland by two bridges: the bridge “Umbertino” (the oldest bridge) and the bridge Santa Lucia (the newest). There are many districts on the island: Bottari, Cannamela, Castello, Duomo, Gancia, Giudecca, Graziella, Maestranza, Marina, Mastrarua, Sperduta and Turba. 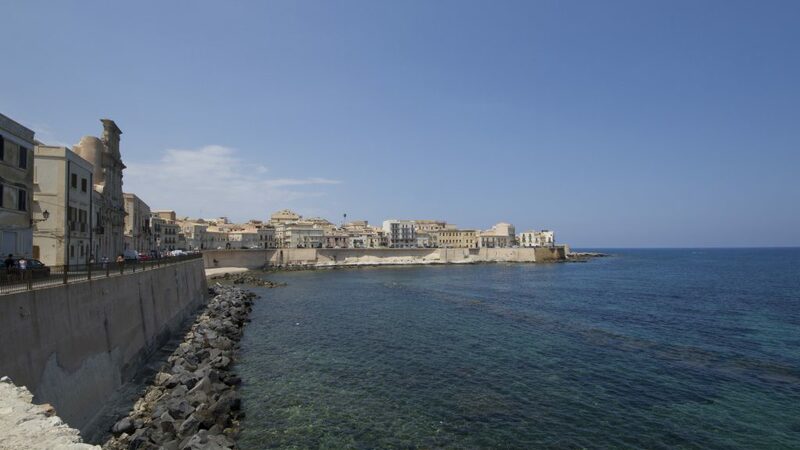 The visit of Ortigia begins in the first square you find as soon as you arrive, Piazza Pancali, with its Temple of Apollo; from here begins Corso Matteotti that arrives to Piazza Archimede, from which begins Via Roma. In the middle of Via Roma you will find Piazza Minerva connected to Piazza Duomo from where you can move to the extreme corner of the island and visit the castle of Maniace, on the promenade of Levante, one of the fortresses built by Frederick II of Swabia. 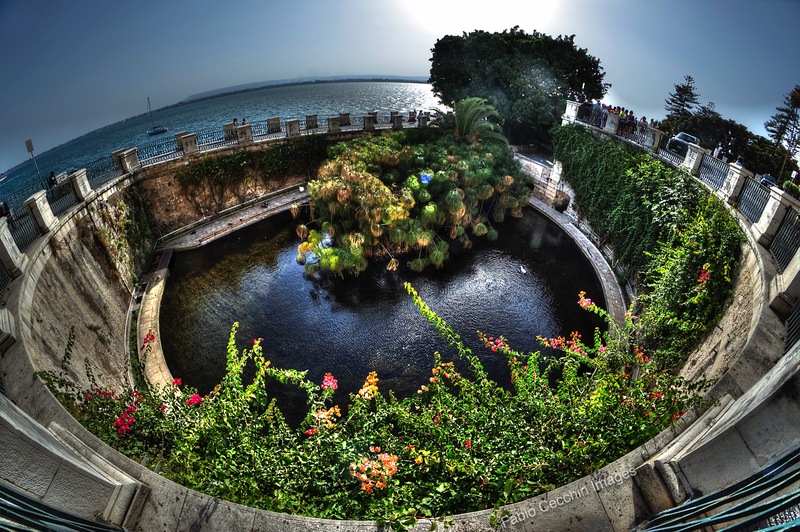 Proceeding from the castle towards the Porta Marina of the island of Ortigia, you can look out over the Fonte Aretusa, a stretch of water that owes its name to a Greek myth, the one of the nymph Aretusa, who in order to escape from the elf Alfeo, in love with her, appealed to the goddess Artemis and from her she was transformed into a source of pure water in which there are now plants of papyrus. A full tour also includes a visit to Ortigia’s historical market: a market full of stalls selling cheeses, wines, liqueurs, and various spices. Considering the imminent arrival of the summer season do not forget to stop for a refreshing swim in one of the many solariums on the promenade, many of which are free. 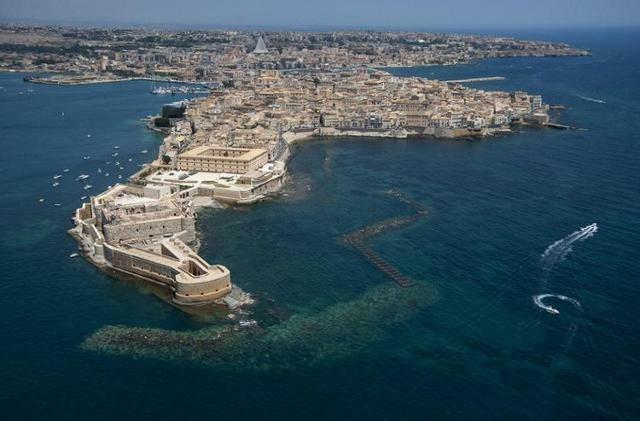 Ask us for a private tour to Ortigia!